The Bayer designations were conceived by the German astronomer Johann Bayer in 1603 as a naming system for all visible stars, whether they possessed a traditional name or not. A Bayer name consists of a Greek letter (usually spelled out), followed by the name of the constellation in its Latin genitive form. 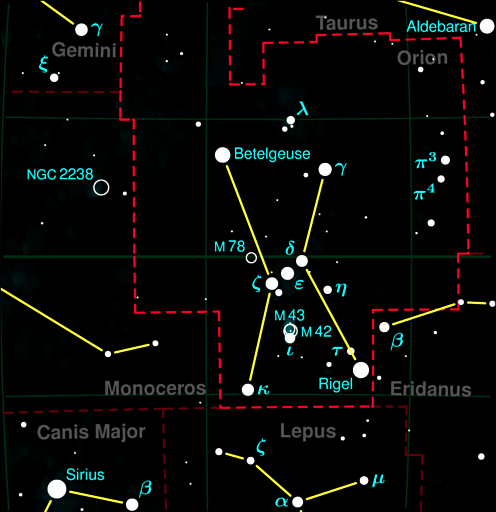 An example is the star with the traditional name Rigel, which is in the constellation of Orion and received the Bayer name Beta Orionis. Most often but not quite consistently the stars are ranked by their apparent magnitude, starting with "Alpha" for the brightest star. As a rule of thumb, most of the best visible stars in the night sky have an "Alpha" or "Beta" in their Bayer name, such as Sirius (Alpha Canis Majoris). Originally Bayer assigned lowercase and then uppercase Latin letters to the dimmer stars exceeding the available 24 letters of the Greek alphabet. 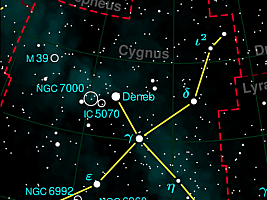 Nowadays it is common to denote the dimmer stars with a numerical prefix (such as 61 Cygni). It is debatable whether in a spacefaring civilization such as the Federation the geocentric view of a starry sky would still be useful, a sky which is considerably different even in a neighboring star system a few light years away. Still, in Star Trek, traditional star names as well as Bayer designations are commonplace, adding realism to the fictional universe. In Star Trek, an appended Roman numeral denotes a planet inside a star system, starting with "I" for the innermost planet. This article lists all mentions of real stars in Star Trek. It investigates and comments on the authenticity and plausibility particularly of the used Bayer names or of designations that could be Bayer names. These are the real stars whose traditional names, rather than the assigned Bayer names, were mentioned in Star Trek. Note that numerous designations of star systems were barely visible in the episodes. Especially since the time of TNG many appeared only on computer screens, or on star charts like the one in TNG: "Conspiracy". Mira TNG: "Conspiracy" Omicron Ceti 420 The star was verbally identified as Mira in the episode (Mira = Omicron Ceti, TOS: "This Side of Paradise"). The nonsensical version "Mira Antliae" was only on a display. Orion "The Cage", TOS: "What Are Little Girls Made Of?, "The City on the Edge of Forever", "The Menagerie, Part II", "Journey to Babel"; DS9: "The Ascent", "Call to Arms", "Honor Among Thieves", "Prodigal Daughter"; VOY: "Good Shepherd"; ENT: "Horizon", "Borderland", "Bound", "In a Mirror, Darkly, Part II", "Demons"; "Star Trek (2009)"; TAS: "Yesteryear", "The Pirates of Orion" Constellation in real life, single star in Star Trek? - It is unusual that a race is named for a constellation, rather than for a specific star (that is orbited by their homeworld). Although the mention of a planet called "Orion I" in VOY: "Good Shepherd" is probably not more than a stupid mistake, it makes sense that the Orion home system would be called so. Pollux TOS: "Who Mourns for Adonais? ", TNG: "Conspiracy" Beta Geminorum 34 Both "Pollux" and "Beta Geminorum" were mentioned in the TOS episode. In addition, the two were listed on the star chart in TNG: "Conspiracy", but there as two distinct star systems. Sheliak TNG: "The Ensigns of Command" Beta Lyrae 882 The star system was called "Shelia" in the episode. But since the race is the Sheliak, there is no reason to assume that "Shelia" is not identical to the real star Sheliak. Vega "The Cage"; TOS: "Mirror, Mirror"; VOY: "Child's Play", "The Haunting of Deck Twelve"; ENT: "Broken Bow", "Future Tense", "Twilight" Alpha Lyrae 25 See also "Delta Vega" (below). 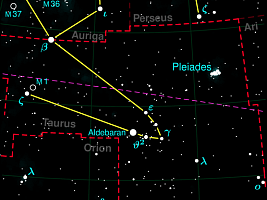 Many of the brightest stars in Earth's sky are among the frequently mentioned stars in Trek (note the many "Alphas" and "Betas" in the Bayer name column). Most of them are supposed to be orbited by inhabitable planets. But in reality, few of those stars could support an inhabitable zone. Actually only the spectral classes F, G and K (with Sol being Class G2V) are currently considered to provide suited environmental conditions. This would exclude Antares (Class M) or Rigel (Class B) from having inhabitable planets. Realistically, we would expect to find more stars that are "insignificant" (as seen from Earth) among the central stars of the "important" (inhabited) systems of the Federation or alien civilizations. The real Bayer names always have the structure "Greek letter + constellation name (of 88 existing, genitive case)". Due to negligent writing or artistic license the pattern is not entirely consistent in Star Trek. Alpha Carinae TOS: "Wolf in the Fold" Alpha Carinae Carina = keel Canopus 310 Two other TOS episodes refer to the star by its traditional name. Ceti Alpha TOS: "Space Seed"; "Star Trek: The Wrath of Khan"; ENT: "Twilight" Alpha Ceti Cetus = mythical sea monster Menkar, Menkab 220 "Ceti Alpha" is clearly a rearrangement of Alpha Ceti, probably just for the better sound of it. 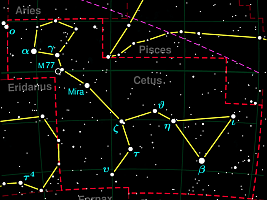 It would make no sense at all as a star rank "Ceti" in the constellation of "Alpha", although TNG adds another odd permutation with a "constellation Alpha", "Tau Alpha" (see below). 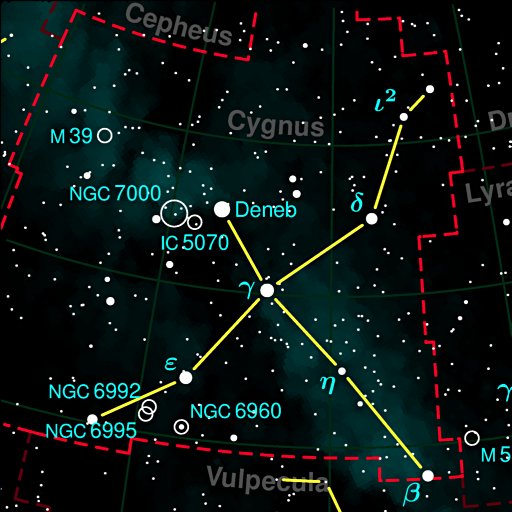 Tau Cygna TNG: "The Ensigns of Command" Tau Cygni - 69 It has been argued that "Tau Cygna" has to be a different star than the real Tau Cygni, because the Sheliak from the star of the same name (Beta Lyrae), 882 light years away, couldn't possibly claim such a far away planet. On the other hand, there can't be a star system "Cygna" grammatically, even if we assume that, as sometimes in Trek, the nominative is falsely used instead of the genitive case. 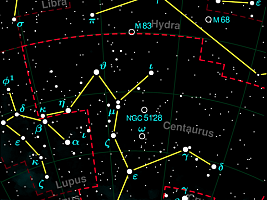 Although there is a precedent in the form of the distinct real constellations Hydra and Hydrus, there is no word in Latin such as "cygna" ("female swan"?). 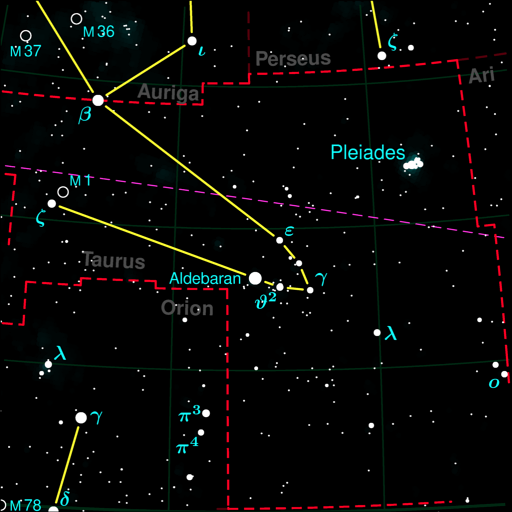 Interestingly, although Sheliak is far away from Earth, it is in nearly the same "northwestern" direction as Tau Cygni. Yet another spelling variant is Cygnia Minor in TOS: "The Conscience of the King", albeit not in an attempt to imitate the sound of a Bayer name. Omega Cygni TNG: "Conspiracy"; TAS: "Mudd's Passion" Omega-2 Cygni Ruchba 400 Actually a binary star. 61 Cygni TNG: "The Naked Now", "The Last Outpost", "Conspiracy" 61 Cygni Bessel's star 11 In fandom, 61 Cygni, whose seal is depicted without further comment in the Star Fleet Technical Manual, is often regarded as the Tellarite homeworld. 40 Eridani A TNG: "The Wounded", "Night Terrors" on dedication plaques 40 Eridani A Vulcan (the IAU should make this official) 16 40 Eridani A is the central star of the Vulcan homeworld, as once proposed by astrophysicists to Gene Roddenberry, who liked the idea. With the distance from Earth to Vulcan mentioned in ENT: "Home" being 16 light years we now have the missing canon confirmation. 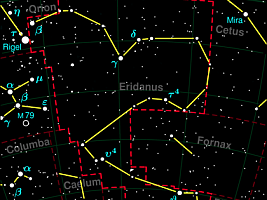 Alas, when a Jupiter-like gas planet was found in orbit of the star Epsilon Eridani, this planet was nicknamed in the media as "Vulcan", based on the wrong supposition that Epsilon Eridani was the central star. In 2018, finally, a planet was also discovered in orbit of 40 Eridani A. Beta Geminorum TOS: "Who Mourns for Adonais? 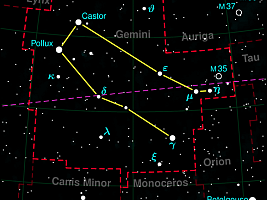 ", TNG: "Conspiracy" Beta Geminorum Gemini = twins Pollux 34 Both "Pollux" and "Beta Geminorum" were mentioned in the TOS episode. In addition, the two were listed on the star chart in TNG: "Conspiracy", but there as two distinct star systems. Epsilon Hydra DS9: "Q-Less" Epsilon Hydrae Hydra = mythical water snake Ashlesha 135 A simple negligence: The rule to use the genitive case of the constellation's name is ignored, and consistently so. Epsilon Indi TOS: "And the Children Shall Lead"; TNG: "The Naked Now", "The Last Outpost", "Conspiracy", "The Child", "Eye of the Beholder" Epsilon Indi Indus (river) - 12 In fandom, Epsilon Indi, whose seal is depicted without further comment in the Star Fleet Technical Manual, is often regarded as the Andorian homeworld. The name is misspelled "Epsilon Indii" in TNG-R: "Eye of the Beholder". Alpha Lupi DIS: "Perpetual Infinity" Alpha Lupi Lupus = Wolf - 460 This star goes nova around 2237. Beta Lyrae TAS: "The Slaver Weapon" Beta Lyrae Lyra = lyre Sheliak 882 Very likely the Beta Lyrae system (Sheliak system) is the same as the "Shelia" system, home of the Sheliak race. Beta Ursae Minor TNG: "Eye ofd the Beholder" Beta Ursae Minoris Ursa minor = smaller bear Kochab 131 A simple negligence: The rule to use the genitive case of the constellation's name is ignored, and still in the remastered episode. As with the traditional names, the list of Bayer designations mentioned in Trek reveals a dominance of bright "Alpha" to "Gamma" stars, albeit not quite as significant. But that impression may be misleading. Most of the inhabited star systems in Trek still can't be related to a real star. As a matter of fact,the vast majority of known real stars in the interesting range of range of less than 1000 light years have either a rather unremarkable (extended) Bayer name such as 40 Eridani A, or even a plain Henry Draper Catalogue number such as HD 28185. It is obvious that, should one of these planets be known as the home of an alien civilization or host a human colony in the 23rd century, it would be given a proper name. These are Bayer names that may be interpreted as authentic but have more than just grammatical errors in them. Mira Antliae TNG: "Conspiracy" set decoration ??? Antliae Antlia = pump - - The star was verbally identified as Mira in the episode (Mira = Omicron Ceti, TOS: "This Side of Paradise"). 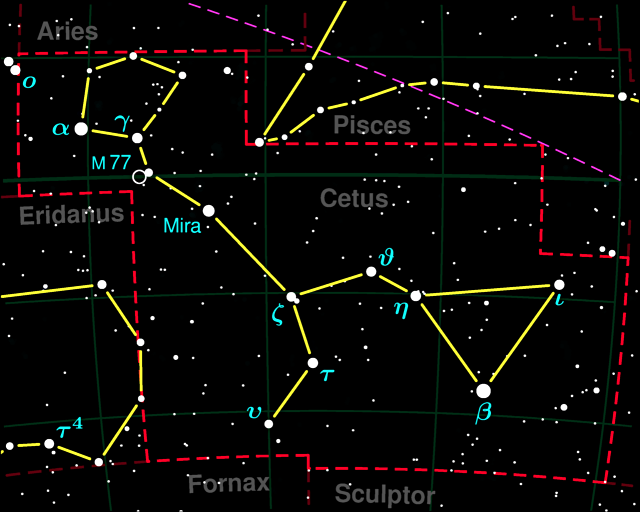 The nonsensical version "Mira Antliae", which would put the star Mira into the different real constellation Antlia, was only on a display. Cancri IV ENT: "Lethe" ?? Cancri (IV) Cancer = crab - - Cancri IV is obviously meant to be a planet. Cancer is a real constellation. "Cancri" is the correct genitive case but lacks the identification of a particular star of the constellation (such as in Beta Cancri). 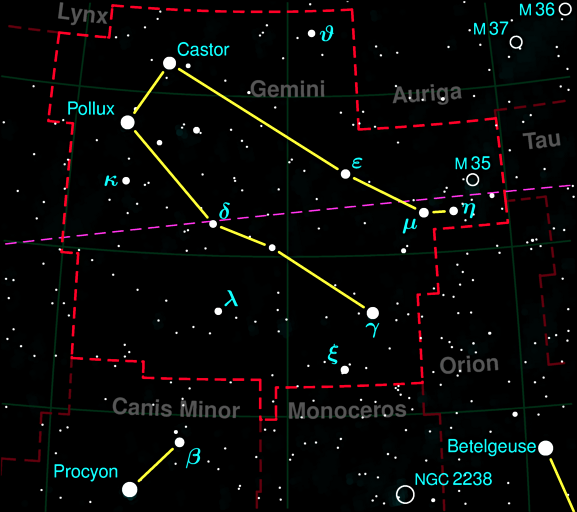 Beta Capricus VOY: "11:59" Beta Capricorni Capricornus = male goat Dabih 328 This sounds like a tie-in from Battlestar Galactica. 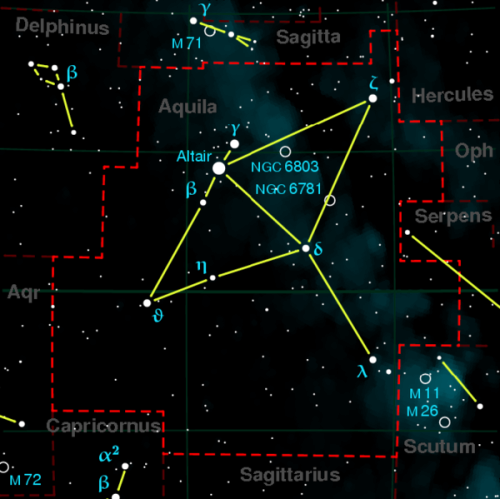 There is a real constellation Capricornus in the zodiac, whose short form "Caprica" only exists in BSG. Of course, "Beta Capricornus" wouldn't be correct either, because the genitive case is required. 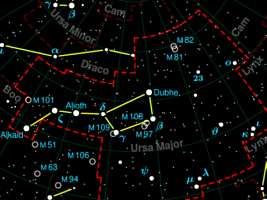 Alpha Majoris TOS: "Wolf in the Fold"; TNG: "Conspiracy" Alpha Ursae Majoris or Ursa Major = great bear (Big Dipper) Dubhe 8.6 Just like a plain Greek letter, "Major" as a constellation or a star group doesn't make much sense. 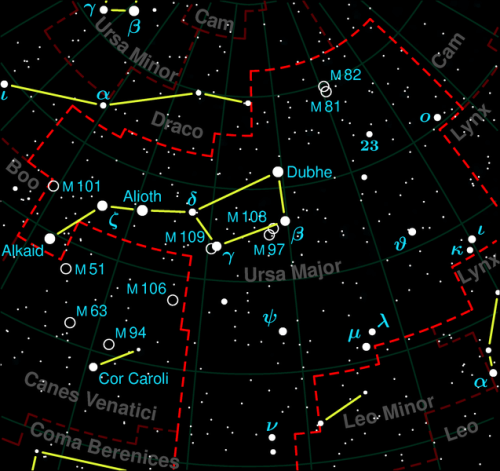 If, however, "Major" belonged to either "Ursa" or "Canis", we would have to wonder why these prominent stars wouldn't be called by their proper names. Omega Sagitta TNG: "The Outrageous Okona" Omega Sagittae? 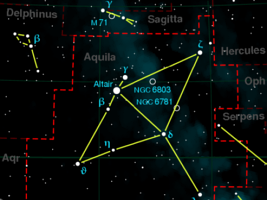 Sagitta = arrow - - The problem is that while the name is formed correctly except for the wrong nominative case, there is currently no star called "Omega Sagittae". 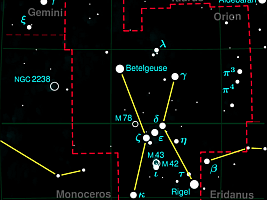 The small constellation has Bayer names only up to Theta Sagittae. Perhaps some of the smaller numbered or unnamed stars will be given Bayer designations is the future. 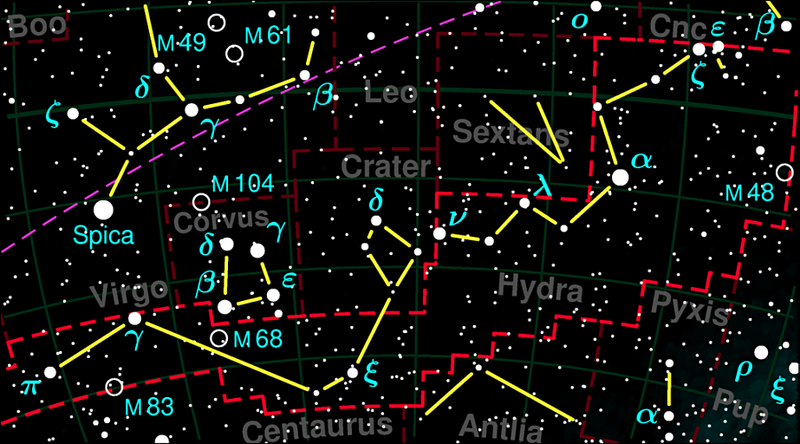 These are star names with the pattern "Greek letter + fictional constellation or star (group)". There may be new constellations in the 24th century, in addition to the 88 that are in use today. However, as this naming system refers to an obsolete concept of constellations visible from Earth, we wouldn't expect the sky to be fractured even more. Rather than that, the new Bayer-like names may denote single stars or local star groups, with "local" meaning that these stars are actually just a few light years apart, rather than being close together from a geocentric viewpoint. Almost none of the following names has a second part in its genitive case or something that could be interpreted as genitive, so at least this rule must have been dropped at some point. Beta Agni TNG: "The Most Toys" This name would make sense if there were a constellation Agnus (=lamb). Even the genitive case would be correct. The star system is referred to as the "Beta Agni II system" at one point, but that is a simple mix-up with the particular planet Beta Agni II. Beta Antares TOS: "A Piece of the Action" This could be rated as a wrong Bayer name (see above). But since Antares is a real star, then Beta Antares could be a neighboring, much smaller one. Alpha Ataru TNG: "Yesterday's Enterprise", "The Wounded"
Alpha Balder TNG-R: "Inheritance" Alpha Balder IV is listed in the remastered episode only. In real life, probably named for special effects artist Richard Balder. Beta Berman TNG-R: "Inheritance" Beta Berman I is listed in the remastered episode only. In real life, named for executive producer Rick Berman. Theta Bowles TNG: "Yesterday's Enterprise" In real life, probably named for Buddy Bowles, lighting technician. Alpha Braga TNG-R: "Inheritance" Alpha Braga VII is listed in the remastered episode only. In real life, named for writer and producer Brannon Braga. Gamma Canaris TOS: "Metamorphosis" This name imitates the sound of "Canis (Majoris/Minoris)". But there is no Latin noun with the nominative or genitive case "Canaris". It sounds like it could refer grammatically incorrectly to the Islas Canarias or, less likely, to the German Admiral Canaris (or to Cardassian kanar?). Epsilon Canaris TOS: "Metamorphosis", "Star Trek Generations"
Beta Coupsic TNG: "The Icarus Factor"
Theta Curry TNG: "The Defector" In real life, named for Dan Curry, VFX supervisor. Beta Eminiar TNG-R: "Inheritance" Beta Eminiar VII is listed in the remastered episode only. It would be the seventh planet of a system called "Beta Eminiar", which is a similar oddity as "Beta Antares". Gamma Erandi TNG: "Ménage à Troi" This may have been meant to be "Erani", just like in the previously produced episode "The Most Toys". In any case it is yet another nonsensical permutation of "Eridani" that TNG writers are so fond of. Sigma Erani TNG: "The Most Toys" The system is mentioned twice in the episode. 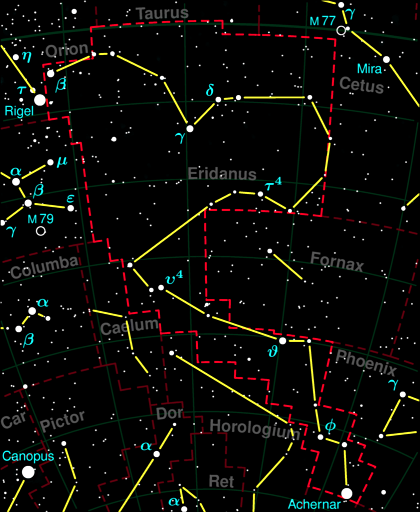 It may be a misspelling of "Sigma Eridani" in the script, or simply a bad permutation of the name of the real constellation. Gamma Eridon TNG: "Redemption, Part II" This sounds like it was originally supposed to be "Eridani" and was reshaped in a similar fashion as "Gemini" to "Gemenon" in BSG. Beta Hutzel TNG: "The Defector" In real life, named for Gary Hutzel, VFX coordinator. Beta Lankal TNG: "Redemption, Part II"
Epsilon Legato TNG: "The Defector" In real life, named for Robert Legato, VFX supervisor. Beta Magellan TNG: "11001001" Star system of Bynaus. Here "Magellan" certainly doesn't refer to the Magellanic Clouds, because these are galaxies. Theta Mees TNG: "Yesterday's Enterprise" In real life, named for Jim Mees, set decorator. Epsilon Mynos TNG: "When The Bough Breaks"
Sigma Nesterowitz TNG: "Yesterday's Enterprise" In real life, named for John Nesterowicz, craft service personnel. Beta Niobe TOS: "All Our Yesterdays" Star system of Sarpeidon. Alpha Onias TNG: "Future Imperfect"
Beta Penthe "Star Trek VI" This is the star system where the notorious planet Rura Penthe is located. As Rura Penthe appears to be the fifth planet of the system according to the "Operation Return" chart, there may be the alternative name "Beta Penthe V" for the planet. Beta Portolan TOS: "Operation - Annihilate! ", TNG: "Conspiracy" The name "Portolanum" (navigational map) would make a lot of sense for a possible constellation. 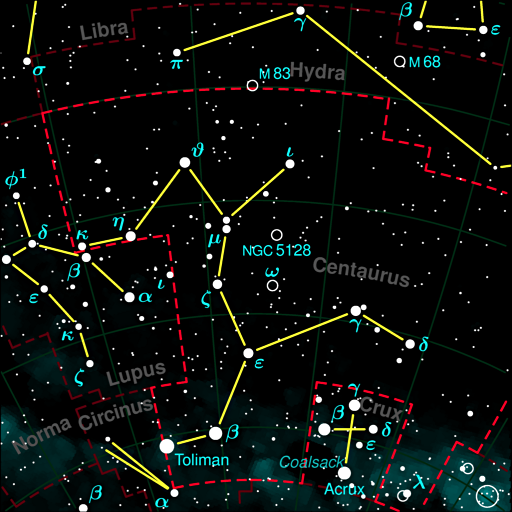 Several existing constellations, especially in the southern hemisphere, are named for nautical instruments. The correct Bayer name would be Beta Portolani. Delta Rana TNG: "The Survivors" The name "Delta Rana" is an odd mix-up, knowing there is a real star Rana with the Bayer name Delta Eridani. Unless there were a new constellation (Rana = frog) in the 24th century (in which case it would have to be "Delta Ranae"), we should assume that Rana is a local name, not belonging to a constellation (or not clearly belonging to one visible from Earth). Perhaps Delta Rana is simply the fourth planet in the Rana system (instead of "Rana IV")? Beta Reilley TNG: "Yesterday's Enterprise"
Beta Renner TNG: "Lonely Among Us"
Alpha Shiro TNG: "Yesterday's Enterprise"
Beta Simmons TNG: "Yesterday's Enterprise" In real life, named for Adele Simmons, assistant director. 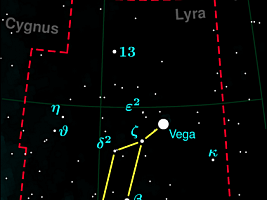 Beta Stromgren TNG: "Tin Man"
Beta Thoridar TNG: "Redemption, Part II"
Delta Vega TOS: "Where No Man Has Gone Before" Has the star Vega (Alpha Lyrae) been "promoted" to a constellation by the 23rd century (in which case it would have to be "Delta Vegae", of course)? "Star Trek (2009)" Even if we accept the improbable name of the TOS planet, it would be still impossible for Delta Vega to be as close to Vulcan as insinuated in "Star Trek (2009)". 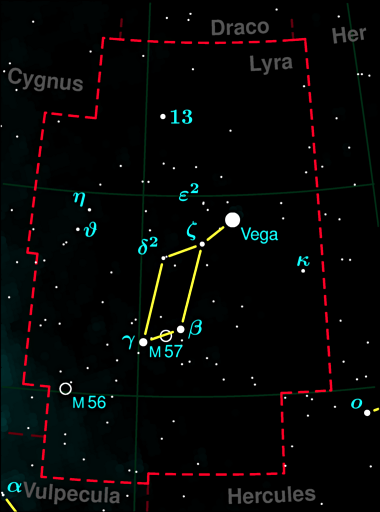 Like with Delta Rana, Delta Vega might simply indicate the fourth planet in the Vega system, but since the real Vega is not far away from Earth this doesn't really work either. Epsilon Wiltz TNG-R: "Inheritance" Epsilon Wiltz IV is listed in the remastered episode only. In real life, probably named for camera and electrical department operator Murphy Wiltz. Of all Trek series TNG abounds with made-up Bayer names. Even more were included in the original version of TNG: "Inheritance": Delta Charnock, Alpha Drapanas, Alpha Echevarria, Alpha Fernandes, Theta Gluckstern, Beta Magdaleno, Alpha Roller, Gamma Towles, Epsilon West, Beta Wiltz, Alpha Zayra. They are totally illegible on the quickly scrolling passenger manifest in the episode, and can be deciphered on DVD caps only with a good deal of guesswork. Anyway, the "tradition" was continued in the remastered version TNG-R: "Inheritance", but the number of such names (now much better visible) was significantly reduced, as can be seen in the above table. As already mentioned, some of the fake Bayer names were visible only on displays, but overall it seems like the authors were trying to stick to the pattern of Bayer names no matter if it made sense or not. As with the real stars, we notice a clear prevalence of "Alpha" to "Gamma" designations. Under the assumption that the Greek letter denotes a rank or another order within a local star group, it would not surprise that there are often apparently just two or three stars in such a group. If, however, the Greek letters stood for the position of a planet inside a system, then we would wind up with another problem. In the usual system (the inhabitable planets Sigma Draconis III, IV, VI showing the typical range) Class-M planets with the ordinal numbers I ("Alpha"?) or II ("Beta"?) are extremely rare. The names of some star systems just consist of one or two Greek letters, plus optional prefixes or numbers. While the double Greek names are bogus, it is possible but unlikely that the rest are abbreviated Bayer names. If, for instance, Beta Cygni had become just "Beta", what about the many other stars starting with Beta? Alpha TOS: "Court Martial" The "Tribunal" and the "Statutes of Alpha 3" are mentioned as a precedent. It sounds like Alpha 3 is a planet and the star system may be just "Alpha". In this case the planet would better be referred to as "Alpha III". TNG-R: "Inheritance" Alpha VII is listed as a destination in the remastered episode only. It sounds like the seventh planet of a system named just "Alpha". Alpha Omicron TNG: "Galaxy's Child" This name, like the following letter-letter combinations, would make some sense if "Omicron" were a constellation or star group in the 24th century and if we ignore the apparent use of the nominative instead of genitive case ("Omicronis"?). Beta (1) TOS: "Return of the Archons" The planet's name is Beta III, but Kirk says in his log entry that the star system is called C-111. TNG-R: "Inheritance" The oddity "Planet Beta III, System C 111" is reproduced on a list in the remastered episode. Beta (2) TOS: "The Squire of Gothos" Beta 6 is a planet/colony that needs supplies. It is extremely unlikely, however, that it is located in the same star system "Beta" as the unexplored Beta III. T'lli Beta TNG: "The Loss"; "Star Trek Generations"
Gamma TOS: "The Gamesters of Triskelion" Gamma II is explicitly said to be a planet in the Gamma system. Gamma 7A TOS: "The Immunity Syndrome" Gamma 7A is explicitly said to be a system, not a planet (that is destroyed by Nomad). Gamma 400 TOS: "Space Seed" Gamma 400 is explicitly said to be a system. Delta "Star Trek: The Motion Picture" Rather than the first or second part of a Bayer name, Delta may be a proper name of a system, just like Vulcan or Romulus. TNG-R: "Inheritance" Delta IX as listed in TNG-R: "Inheritance" would be the ninth planet of the Delta System. Beth Delta TNG: "Evolution" This is a similar case as with "Alpha Omicron". The name of the star system imitates the Bayer naming (Beth = ancient form of Beta), but it makes no sense. Instead of that, Beth Delta could be somehow related to the Deltans, perhaps one of their colonies (although the city of New Manhattan on that planet rather insinuates human settlers). Epsilon VOY: "Equinox, Part II" Epsilon IV refers to a planet in a system that would accordingly be named just "Epsilon". Epsilon IX "Star Trek I", TNG: "Samaritan Snare" Epsilon IX is a sector, which is likely named for a star system of that name and hence different from the above Epsilon system. The famous Epsilon IX station from "Star Trek: The Motion Picture" might orbit the ninth planet of the above Epsilon system, but it looked more like it was in open space. Epsilon 119 DS9: "Second Sight" Epsilon 119 is a star, not necessarily with a planetary system. Maxia Zeta TNG: "The Battle"
Theta 7 TOS: "Obsession" Theta 7 is a planet and the star system may be just "Theta". In this case the planet would better be referred to as "Theta VII". Theta 116 TNG: "The Royale" The star system is Theta 116, but the particular planet is simply referred to as "Theta VIII". Its full name may be "Theta 116 VIII". Omicron Delta TOS: "Shore Leave" Another pointless letter-letter combination. Omicron Theta TNG: "Datalore" And another one. (Quadra) Sigma III TNG: "Hide and Q" The full name is a peculiar mix of bad Latin and Greek, but is abbreviated to "Sigma III" several times in the episode. Sigma Iota TOS: "A Piece of the Action" Yet another pointless letter-letter combination. Tau Alpha TNG: "Where No One Has Gone Before", "Remember Me" And another one. Psi 2000 TOS: "The Naked Time" Actually this is a planet, but it fits the pattern. Psi Upsilon TNG: "Eye of the Beholder" And yet another letter-letter combination. In real life, also the name of a college fraternity. Daniel Kwan visited Starfleet Academy on Psi Upsilon 3 and was born on Psi Upsilon 4. Psi Epsilon TNG-R: "Eye of the Beholder" In the remastered episode, Daniel Kwan still visited Starfleet Academy on Psi Epsilon 3 and was still born on Psi Upsilon 4. Omega (1) TOS: "The Omega Glory" This star system includes the planet Omega IV. Omega (2) TOS: "Requiem for Methuselah" This appears to be a second star system of the same name. It includes the planet Holberg 917G. Well, perhaps we should rate "Omega" as an error, because why should have the planet a seemingly systematic name, while the star name is totally insignificant and even ambiguous? On a very positive note, there is not a single Bayer or Bayer-like name in the Delta Quadrant. The stars visible to the naked eye in our sky are at most some 1000 light years away, and the Bayer system includes stars with a distance of at most a few thousand light years. So it would be a stretch if Voyager passed by stars with Bayer designations in the uncharted region of the Delta Quadrant, which fortunately never happens (although there are Antarians). Some star names were obviously designed to have a similar sound as Bayer names, but wouldn't make any sense as such. Rather than counting or ranking anything, the stars Delphi Ardu (TNG: "The Last Outpost"), Lima Sierra (TNG: "Loud As A Whisper"), Xendi Sabu (Kabu) (TNG: "The Battle", "Bloodlines") most likely just have double names. Whenever Star Trek refers to real stars as possible locations of alien homeworlds or human colonies, there is the fundamental problem that these may not have inhabitable planets at all. Also, they may be just too far away for the shown or mentioned travel times to be realistic. But these problems are not in the focus of interest here. Looking at the names of real stars and particularly the Bayer names stated in Star Trek, there are a few inconsistencies that fortunately remain singular cases. "Ceti Alpha" is definitely meant to be Alpha Ceti and was rearranged obviously for stylistic reasons. 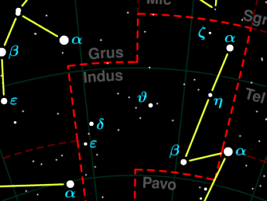 It is a matter of taste whether "Tau Cygna" could be a star in a constellation/region called "Cygna", as opposed to the real Cygnus. 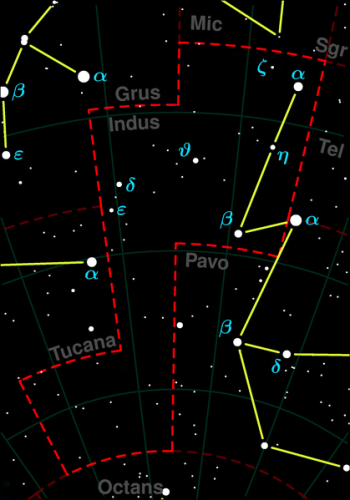 It is a peculiarity of TNG that star names were formed with a Greek letter that is not followed by an actual constellation, much less by a genitive case. It is well possible that these designations replace previously unnamed or badly named small star clusters. 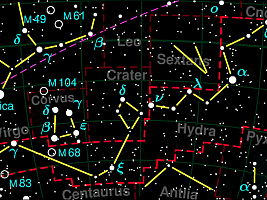 Only few star names are complete bogus, such as "Mira Antliae", which would put the star Mira (Omicron Ceti) into the wrong constellation of Antlia, or "Tau Alpha" and similar Greek letter combinations that would only cause confusion if they were used in parallel to old and new Bayer names. The slight majority of star systems that are not listed above are referred to by their alien names or by new names that don't fit the Bayer system, hence causing no problems. Most of the episode information was taken from Memory Alpha.